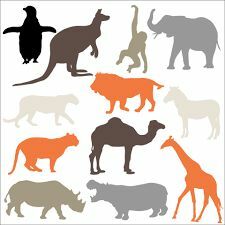 Species are currently becoming extinct at up to 1000 times background rates. To help reverse this trend, we need reliable data on the numbers and distribution of free-ranging species6,7. Current techniques, for example VHF and satellite collaring, provide very detailed data on just a few individuals, and are too expensive to apply more widely. In addition they can negatively impact animal welfare8,9, and data validity10. FIT11,12,13 is a non-invasive and cost-effective approach to monitoring that can be applied everywhere that footprints are found. Furthermore, it is accessible to citizen-scientists and indigenous groups that have expert tracking skills. It works well in combination with other non-invasive approaches (e.g. remote camera trapping) and has huge potential to transform the way we monitor endangered species. AZA has a commitment to increase the engagement in conservation initiatives for threatened species in the wild through active participation in and financial support for conservation programs worldwide. AZA institutions that participate in the development of FIT algorithms through collection and submission of footprint images of the endangered species in their care will make a direct contribution to non-invasive carnivore monitoring processes that will impact conservation planning and action. Zoos’ Involvement in the FIT project will offer huge media potential to attract visitors and funders from collection of footprints, through analytics media, to field implementation. The message that zoo animals will be directly helping conserve their wild counterparts is one of the most powerful that zoos can employ to gain support. The direct linking of zoos with field projects working on the same species will provide opportunities for exchange visits, educational projects to share with visitors and staff. The chance to network more efficiently with other zoos and global field projects in areas of interest for sourcing and distributing collaborative grants. A group of zoos holding jaguar want to join the project. Together they host a workshop (delivered by WildTrack) to train keepers or other staff who are interested in collecting footprints. The zoo invites donors and press to participate in a special section of the workshop and offers special viewings of footprint collection to invited public. Images posted to social media generate further interest. Jaguar field projects that intend to use the final algorithm report on their link with the zoos and share images and educational material for zoo visitors. An article features how jaguar A and his footprint have helped researchers in Brazil identify jaguar B who has been eluding them for months. Keepers take ‘selfies’ with animals and their footprints. Zoos can earn higher participation status for collecting more footprints and visitors to the project website can click on the zoo logo to see what they’re doing. A link will also pop-up to the field project that’s linked, and the visitors can learn about local challenges and how the conservation is working in the field. Social media can be integrated into it all.